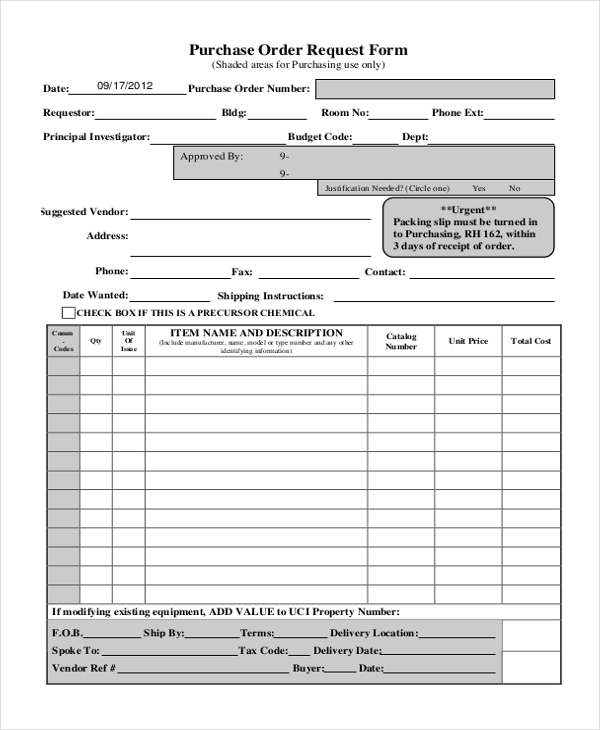 This is a blank purchase order form. It contains the standardized format, including all the necessary fields which are expected in a purchase order form, also there is a table with rows and columns wherein you need to fill specifics under. This particular purchase order form has the format which is workable in shipping and chemical industries. 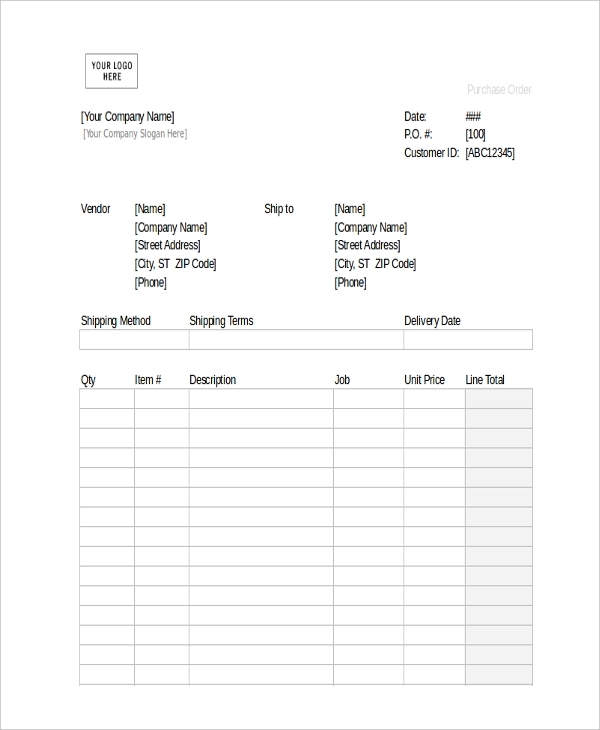 If your client has a bulk order of your products, it is advisable that such a purchase order form template be used. 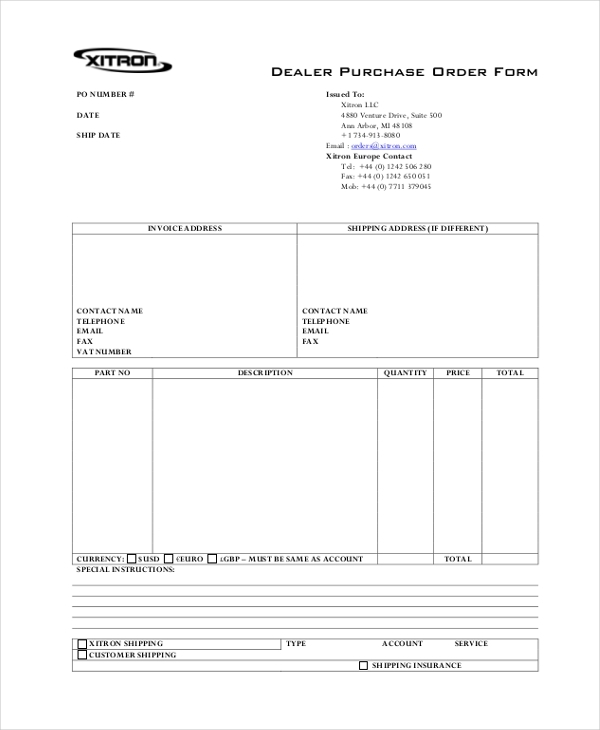 A dealer purchase order form is used at dealership points which sell franchised products or services. 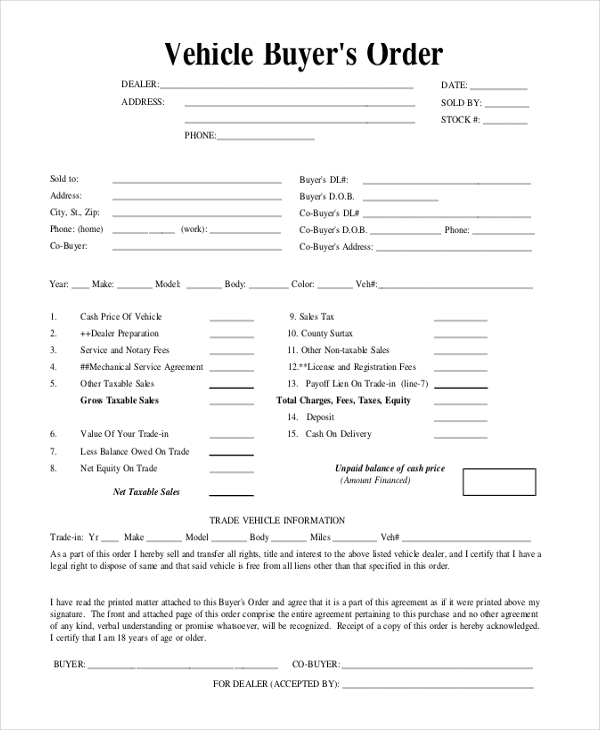 If it is a bulk order that the dealership has to order from it’s parent franchise, this is the kind of form they would need to use. Companies that have customers buying their products via their official website usually get sent out an electronic purchase form after the buying and payment process is completed. The electronic form contains details about the purchase, product name, quantity unit, product number, description, price etc. 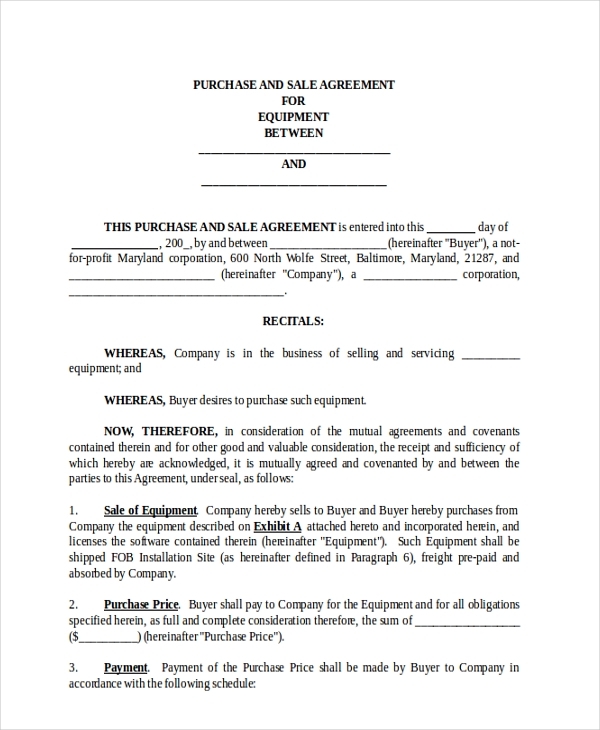 An equipment purchase order form comes into use when a client or customer or another company places an order for equipment. Such a purchase order is not ordinary, it contains a list of terms and conditions regarding the purchase and other aspects associated with it. Running a restaurant kitchen is no small feat. Purchases of all kinds occur on a daily basis – could be for veggies, fruits, machinery and other miscellaneous buys. In order to keep track of the buys and expenses on them, a kitchen purchase order form is very handy. 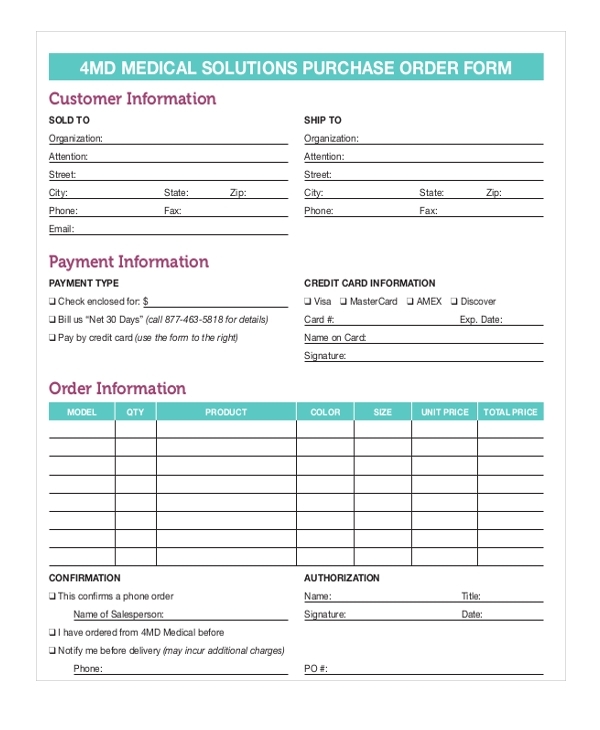 In the medical sector as well, purchase order forms are a norm. Day in and day out hospitals, clinics and other medical environments may need to get hold of some machinery or repair services, in this case a medical purchase order form helps medical outlets keep track of the expenditure. 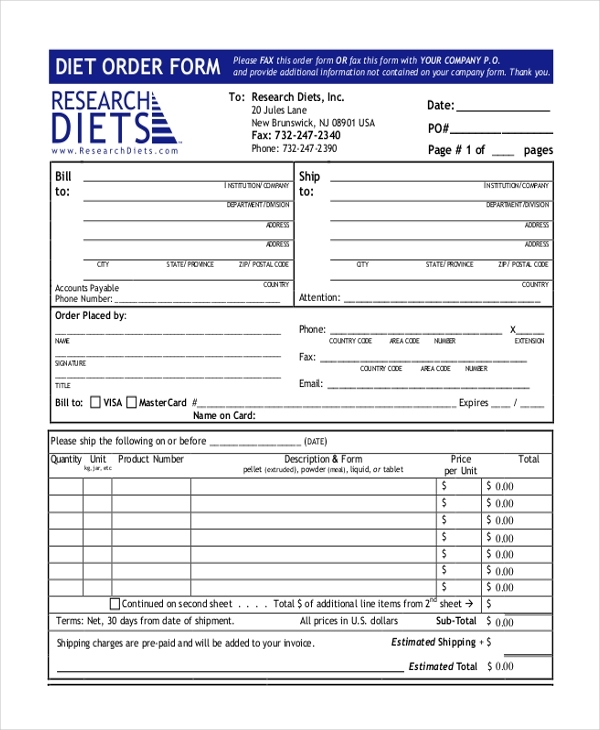 In the world of online ventures, online purchase order forms have become rather commonplace. For instance, if you register or enroll yourself for a particular online education or skills course or class, the concerned authorities will mail you a purchase order form detailing the various specifics of the course or class you’ve selected. In the real estate sector, a purchase order is seen as proof of a buyer’s willingness to buy a particular property, and same applies for the seller too. 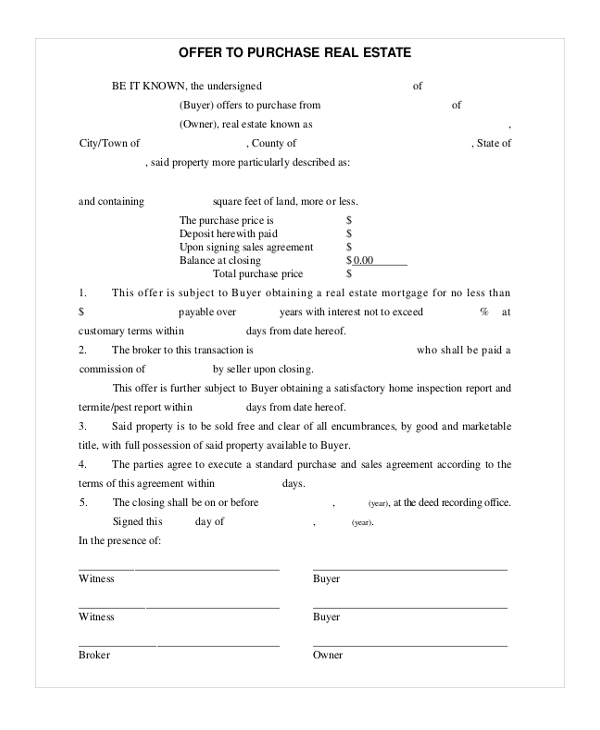 Once a purchase order form is filled out, it can be said that the deal is finalized between the parties involved. A vehicle purchase order form is a document that contains all the specifics regarding the vehicle which has been ordered for purchase. Every detail about the vehicle is supposed to be specified with clarity on a purchase order form. 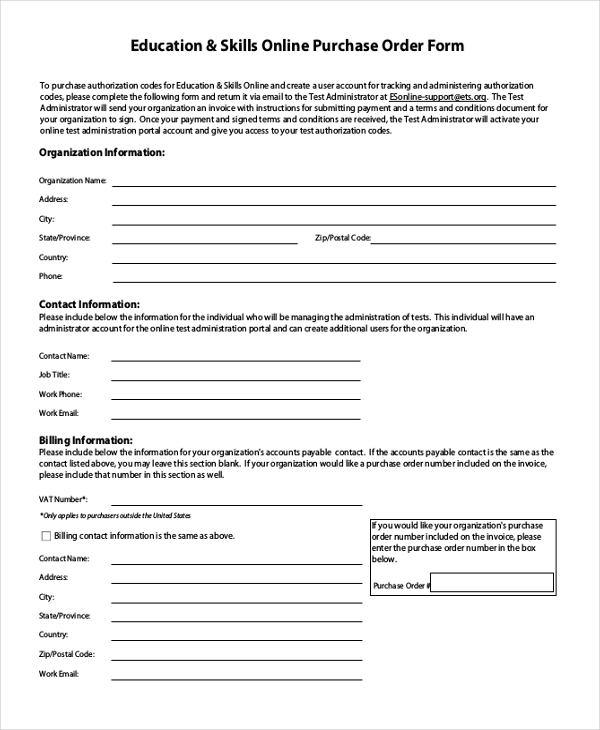 As the name itself indicates, blank purchase forms are useful for billing and invoicing purposes. Whether you run a small business or a big one, as long as you have goods and services involved, you’re going to need to make use of purchase orders. Purchase orders are used by both buyers and sellers, and they are utilized across different sector. If you’re placing an order for a range of services or products, regardless of quantity, the seller will hand you a purchase order prior or post the delivery. 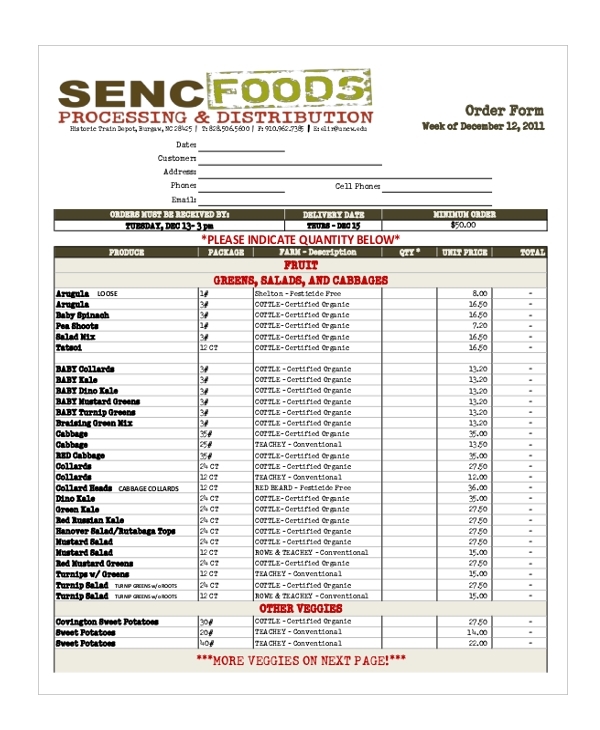 If you have blank purchase order forms available in a stack, you can use them as and when needed. In the world of business, give and take is involved very much. It would make sense then for purchase order forms to be a part of the scenario as well. In different business settings, different kinds of purchase order forms are required. You can look through the collection of samples available online and learn more!